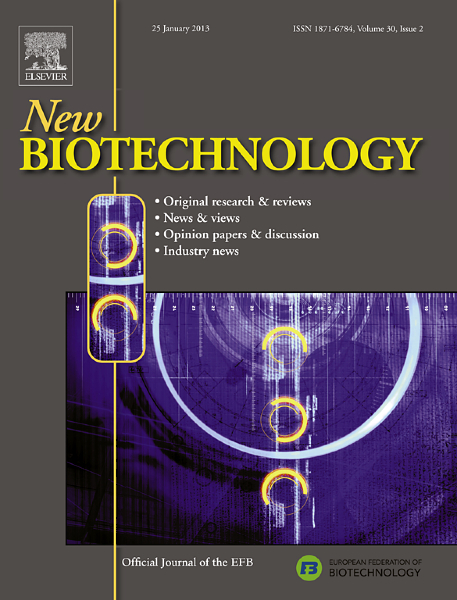 A new paper in New Biotechnology examines the unique set of circumstances that gave rise to the first biotechnology programs in Europe, some of their biggest achievements, and what the future holds. 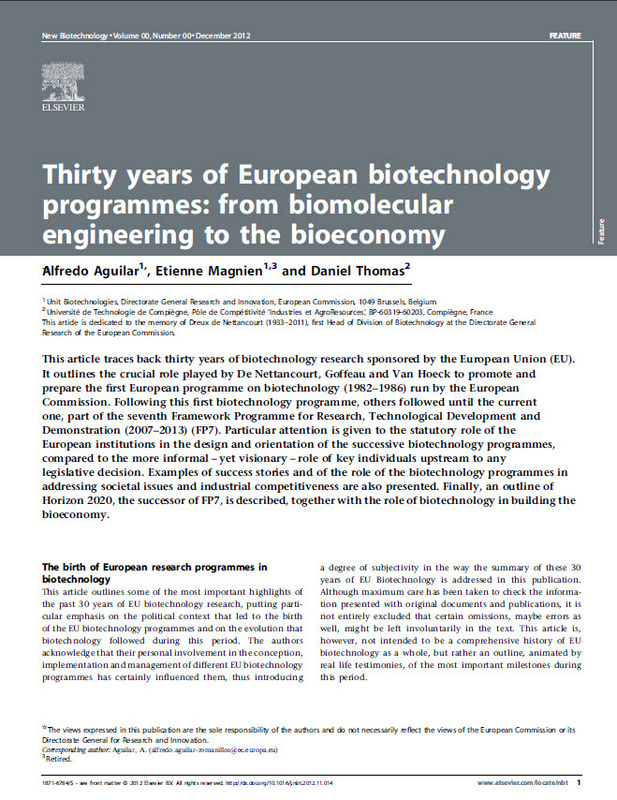 The paper is called “Thirty years of European biotechnology programs: from biomolecular engineering to the bioeconomy.”For the authors — Dr. Alfredo Aguilar, Dr. Etienne Magnien and Dr. Daniel Thomas — it was a collision of scientific discovery and a fluctuating political landscape that allowed the first programs to take shape. On the scientific scene, the 1970s followed two periods of change – one of discovery and one of questioning. 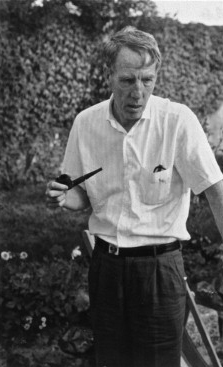 The double-helix had been unraveled in 1953 by Watson and Crick, Arber had discovered how to dissect the DNA molecule in an entirely predictable way, and in 1969, Shapiro et al isolated a gene for the first time – thereby giving form to something that had previously been a theoretical concept. Researchers were now involved in mastering the most vital processes of life itself, and scientific elites worldwide were left pondering the ethical implications of how that research should be managed and where the responsibilities of those involved began and ended. That upheaval highlighted the need for a research and innovation policy from the European Commission, the executive body of the European Union responsible for legislation and the day-to-day running of the European Union. It led to the creation of the Biomolecular Engineering Programme (BEP) – the first of its kind in Europe. Established by the European Commission in 1982, the focus of the program was the development of second-generation bioreactors, and genetic engineering for agriculture and the agro-food industry. Low on budget and restricted in scope, the BEP was nevertheless regarded as a big success. It achieved several world firsts, such as the cloning of genes from Streptococcus – a bacteria used in cheesemaking – and the isolation of more than 20 plant genes of agricultural importance. 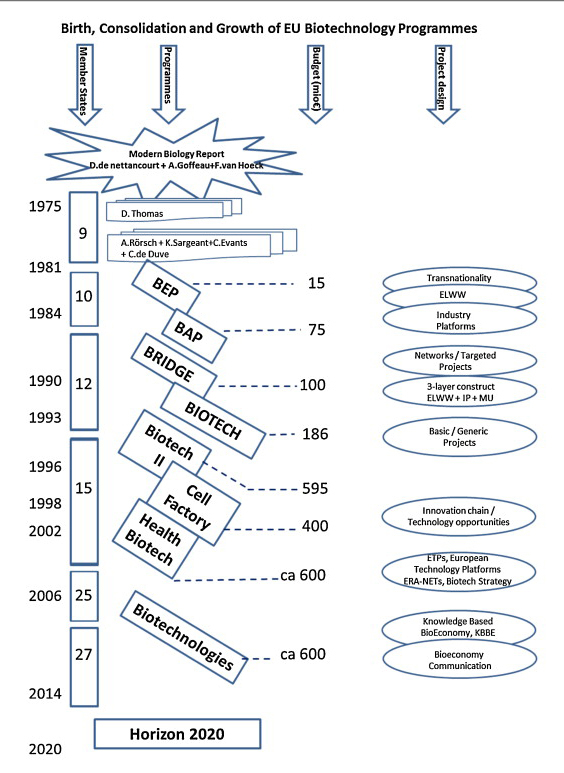 In total, 355 papers were published and 13 patents were granted as a result of the program, which came to an end 1986. Moreover, the significant response from the scientific community, the high level of international cooperation and the demolition of barriers between fundamental research and its practical application meant that the European Commission sought to the establish larger “framework programs.” These were aimed at strengthening science and technology in European industry and helping Europe to become more competitive on the world stage. This heavy investment also meant that the European Commission was heavily involved whenever a crisis involving biotechnology loomed. Be it foot-and-mouth disease outbreaks in Europe or the global Severe Acute Respiratory Syndrome (SARS) pandemic in 2002, the commission was able to rapidly engage with other international organizations active in the area. They worked closely with the World Health Organization (WHO) and national health authorities to address these crises in as coordinated and effective way as possible, meaning several calls for research proposals on each of these diseases were launched in record time, never repeated since. With the current framework coming to an end in 2013, the paper takes a look at European Commission’s Horizon 2020 program – due to start in 2014. This new approach brings together all European Union-level research and innovation funding into a single program, and aims to bolster industrial competitiveness at the international level by making research programs attractive to industry and involving industry in the research projects.